Turning 40 in less than two months, Wasim Jaffer has already achieved more than what many could in first-class cricket, but the batting crease remains the place where he feels most at home, most at peace with the world. 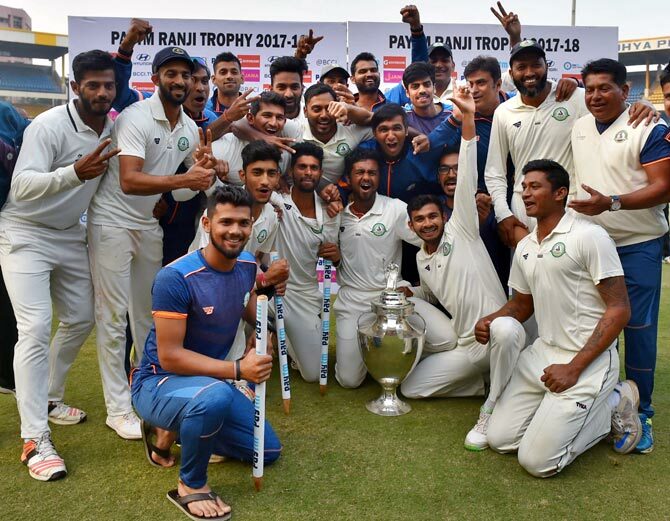 As one of the three seasoned professionals in the side, Jaffer played a pivotal role in Vidarbha's maiden Ranji Trophy triumph -- astonishingly his ninth overall. The years of experience he gained representing Mumbai benefitted Vidarbha greatly and he willingly played mentor to the young players besides scoring nearly 600 runs. Though he concedes he doesn't have many years left in him, the former India opener says he will continue to play as long as fitness allows him. Jaffer has nearly 18,000 runs in first-class cricket. "Nobody probably believed that I would play another Ranji final but here I am with my ninth Ranji Trophy title," he says. But being the exemplary team-man, Jaffer doesn't forget to acknowledge the others behind the concerted effort that made for Vidarbha's fairytale campaign. "Vidarbha had the talent but I think (coach) Chandrakant Pandit brought a lot of discipline, a lot of strictness, he brought the players out of their comfort zone - which was required I feel," says the veteran. "These players have the talent but sometimes you need to push them; they don't know their limits. So with me around, (bowling coach) Subroto (Banerjee) around and Chandu around, you can see what they can do," he adds. Jaffer made his first-class debut in 1996-97 and two decades on, he shows no sign of slowing down. In the international arena, he has nearly 2000 Test runs with five centuries, including a double ton against the West Indies in 2006. Into his 20th season in first-class cricket, Jaffer's hunger for playing the sport is as incredible as ever. "I think just about playing, to be honest. I don't know anything other than playing cricket. I know I can do a bit of coaching and a bit of commentating, but it won't give me as much joy. "There is always time to do a lot of these things. As long as I can play and I am enjoying and helping these players with anything that I can, it gives me a lot of satisfaction," he explains. "This is the joy that keeps me going and there's not many years left in me, but currently I am enjoying playing and I want to continue as long as I can, till my fitness allows me." 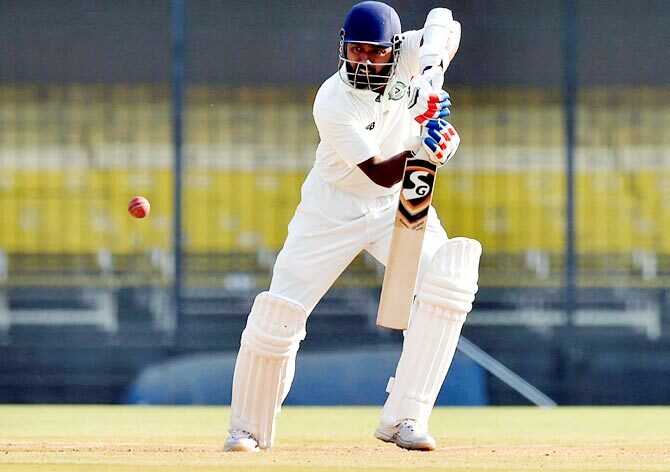 Jaffer, who scored a triple century in only his second first-class game, is over 1,500 runs ahead of former Mumbai teammate Amol Muzumdar, who has the second-highest runs in the Ranji Trophy with a tally of 10738 runs. Asked if he lays any emphasis on statistics, he said they are important to some extent. "...but you don't need to play for statistics obviously, you need to enjoy the game. You don't need to put too much pressure (on yourself) through statistics," he asserts. "As long as you enjoy the sport, as long as you enjoy what you are doing and you are contributing to the team, you don't need to be a burden on the side. I think that holds a lot more importance than statistics," adds Jaffer, who captained Mumbai to their 38th and 39th Ranji triumphs before moving to Vidarbha in 2015. Can Kohli & Co. end India's winning drought in South Africa?